Looks like a recurring ingredient this summer has been CORN! I can’t get enough of it, it’s been our go to veggie for everything. 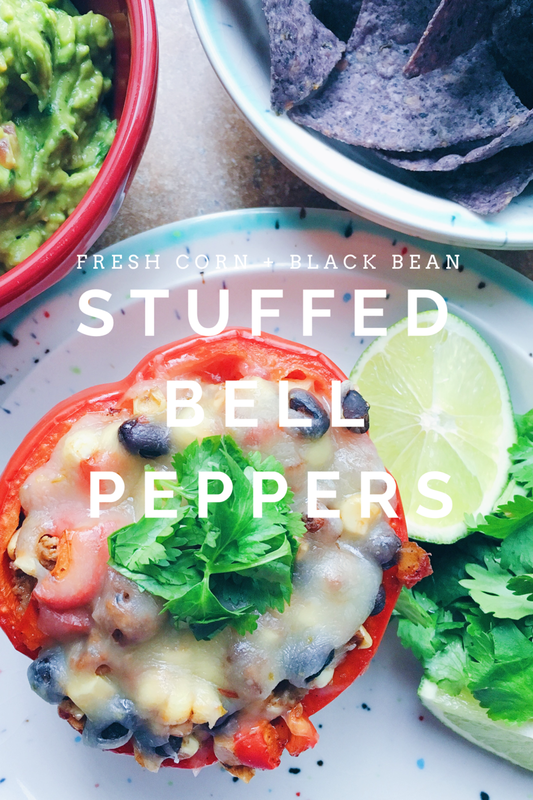 This time around I added it to some stuffed bell peppers and I decided it’d be a great addition to the ground turkey, bell peppers, and black beans that I would usually use. 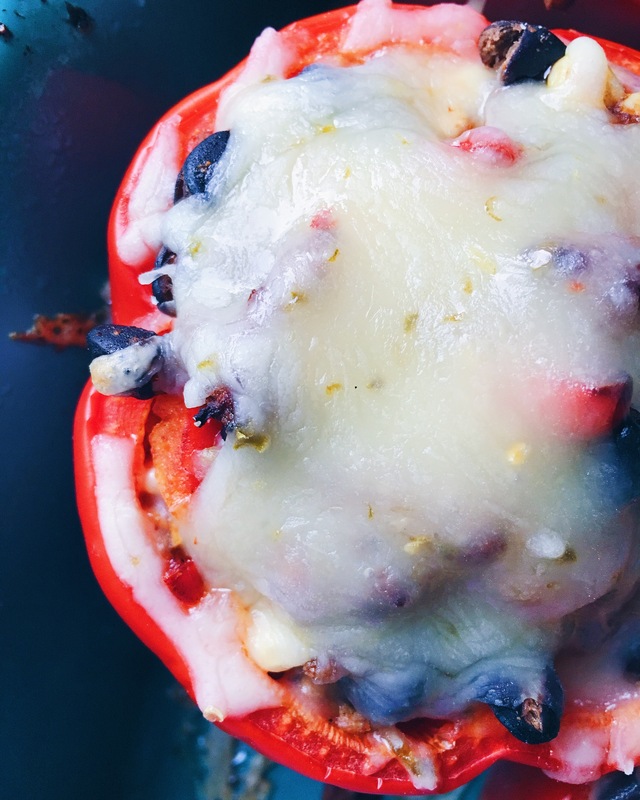 Stuffed bell peppers are a great option for a weeknight meal, they’re easy to throw together, pop in the oven and enjoy. 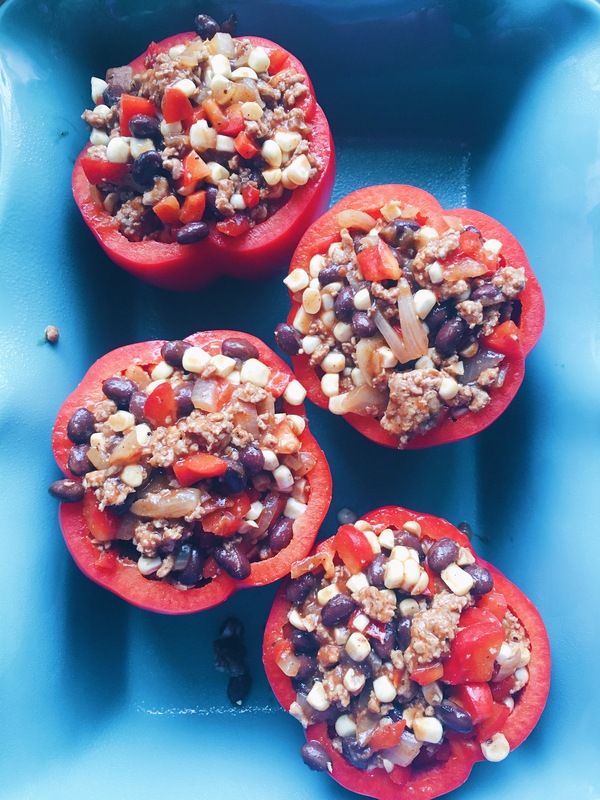 This variation of stuffed bell peppers is filling but low-carb, since there isn’t any rice, and they’re packed with protein from the black beans and ground turkey making them a healthy summer recipe. 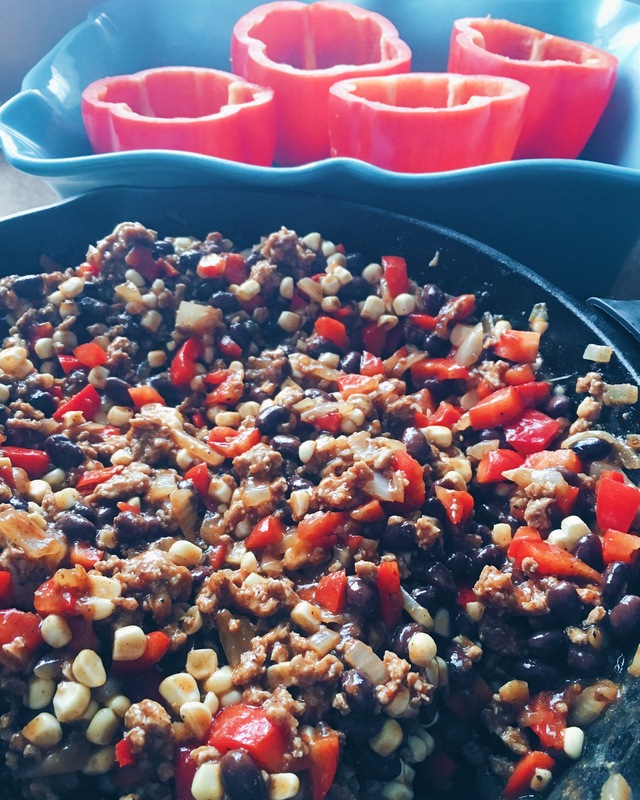 Prep the peppers and stuff with the delicious filling of fresh corn, black beans, bell peppers, onion, ground turkey and spices. All ready for the oven Not going to lie I ate the leftover filling with a spoon 🙂 Bake them up until they’re hot and bubbly on the inside then top with cheese and bake until the cheese is perfectly melted. 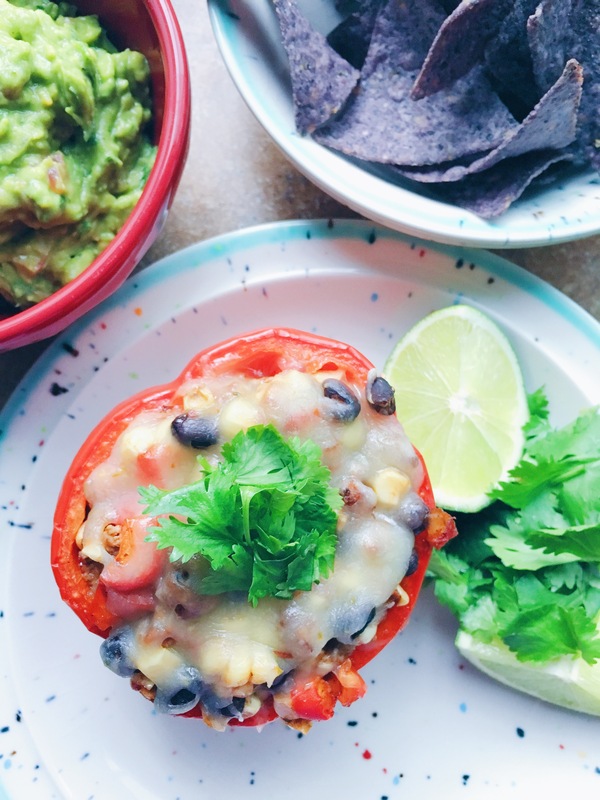 Serve these stuffed peppers with a side of rice or to avoid creating any more heat in your house serve with a side of chili salt guacamole and chips like we did. 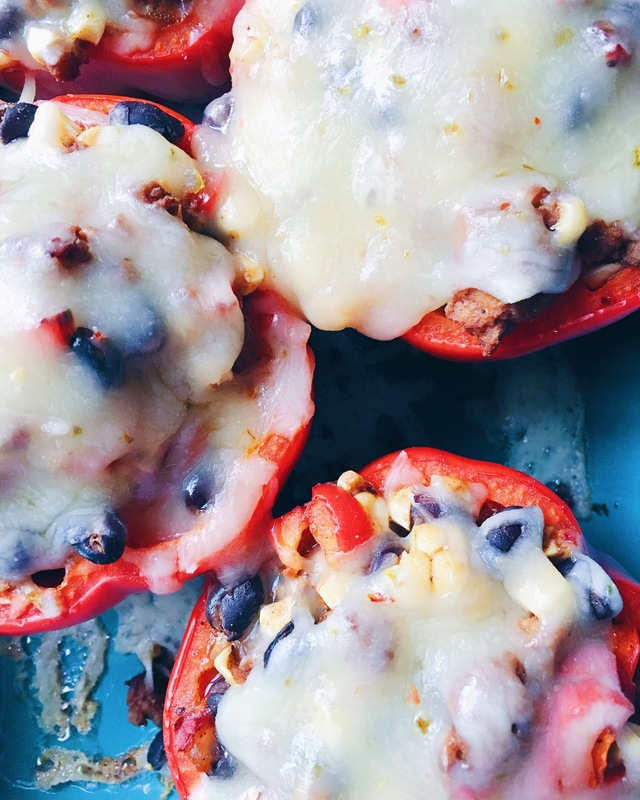 These peppers are so simple to make and full of flavor from the sweet fresh corn and spices. 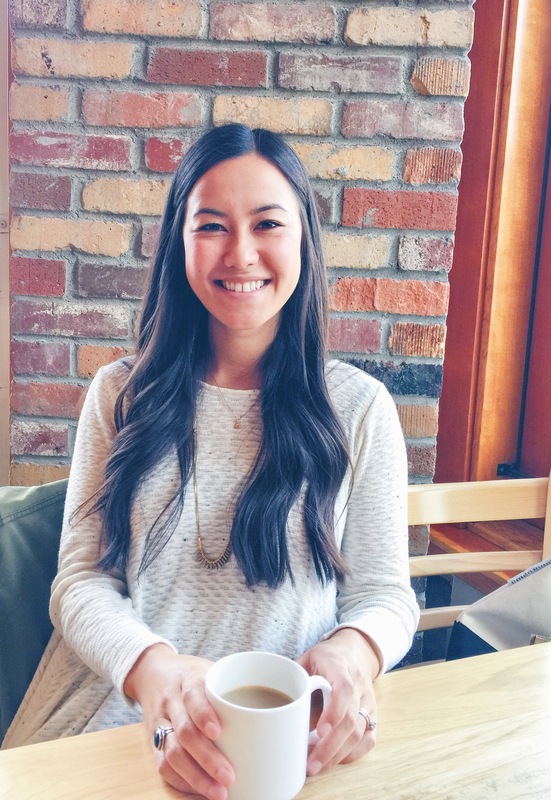 I hope you enjoy this recipe if you give it a try! Heat a large skillet over medium heat, add the vegetable oil and diced onion cooking until translucent. Add in the ground turkey, breaking it up in the pan, brown until fully cooked. Add in the Mexican Mild Sauce and all of the seasonings, stir until fully incorporated. Remove from heat and set aside. 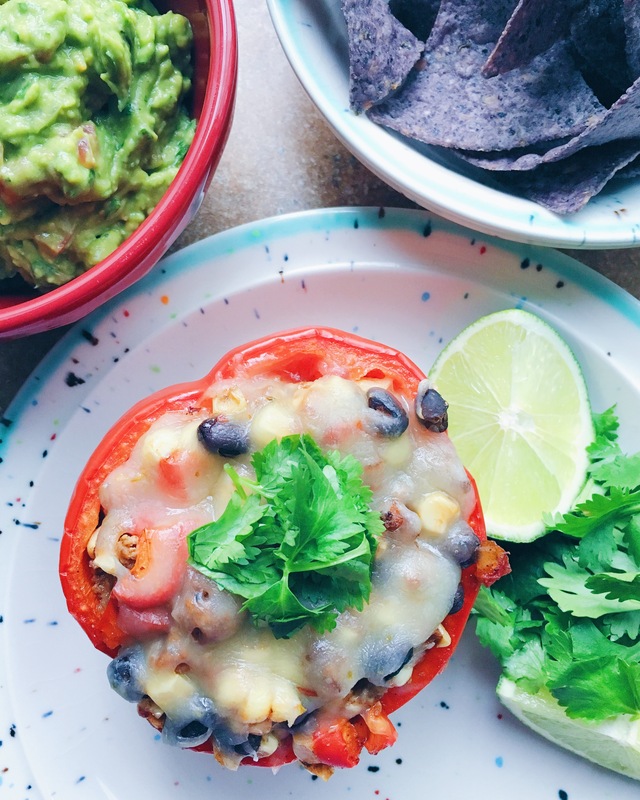 Cut the tops off of the bell peppers and save the flesh. 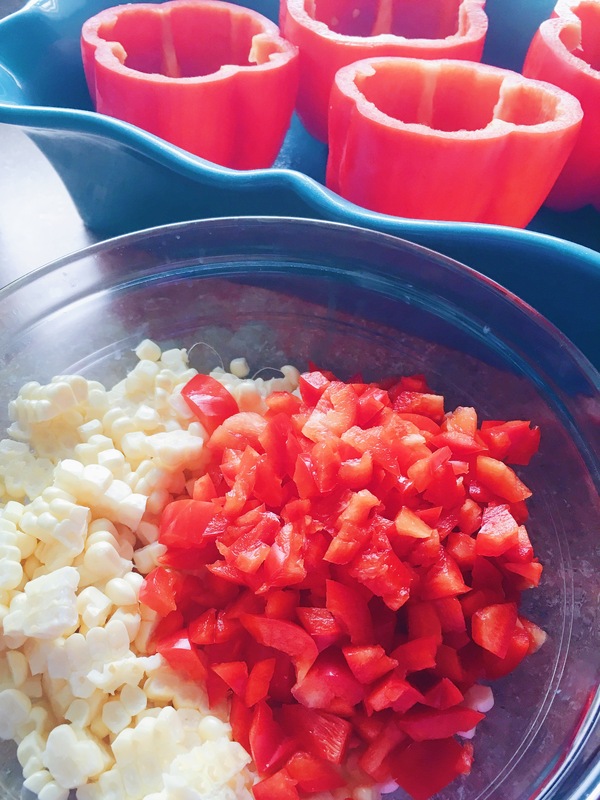 Remove the membranes and seeds from the inside of the peppers and set aside. Dice the saved tops of the peppers, cut the kernels from the corn cobs and add them to the meat mixture, stir until evenly distributed. Spray a 9 by 12 baking dish with cooking spray and place peppers in the baking dish cavity side up. 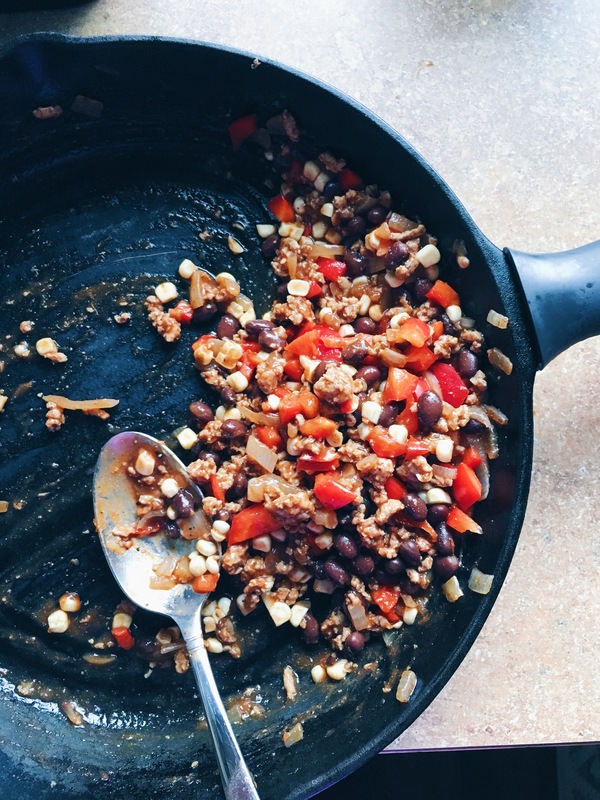 Spoon the meat mixture into each pepper until packed full to the top. 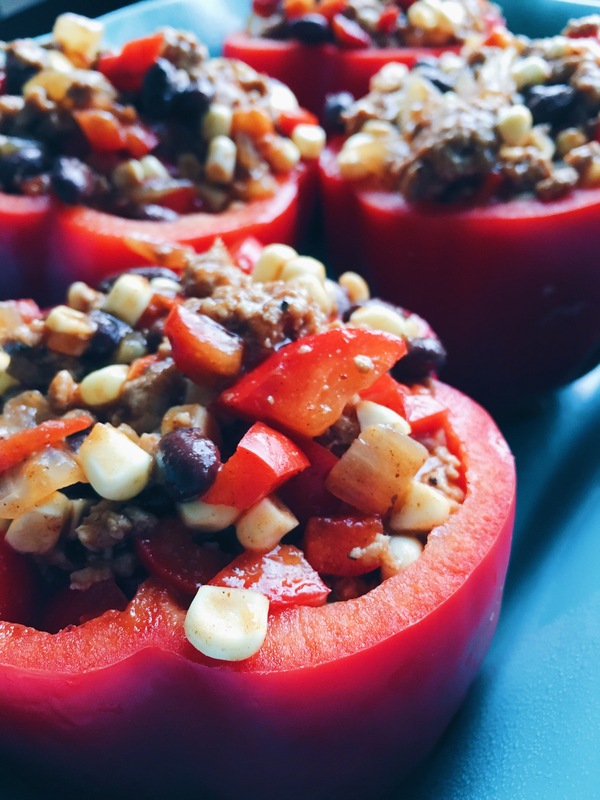 Place in the oven uncovered and bake for 30-35 minutes or until the stuffed peppers are tender and cooked on the outside. 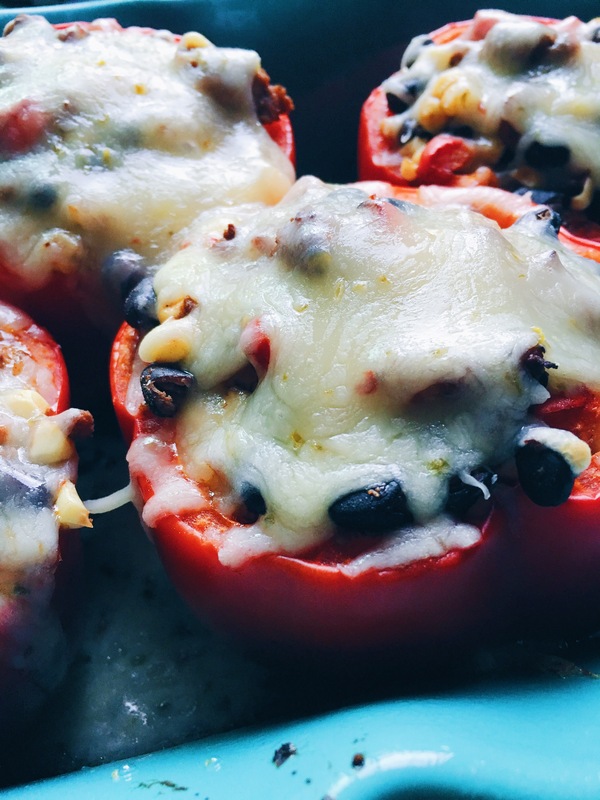 Remove from the oven and top each stuffed pepper with a handful of shredded cheese, place back in the oven until the cheese is melted. Remove from oven and serve hot. Enjoy with your favorite fixings like sour cream, salsa, hot sauce, or cilantro.